In life, many thoughts are born in the course of a moment, an hour, a day. Some are dreams, some visions. Often, we are unable to distinguish between them. To some, they are the same; however, not all dreams are visions. Much energy is lost in fanciful dreams that never bear fruit. But visions are messages from the Great Spirit, each for a different purpose in life. Consequently, one person's vision may not be that of another. To have a vision, one must be prepared to receive it, and when it comes, to accept it. Thus when these inner urges become reality, only then can visions be fulfilled. The spiritual side of life knows everyone's heart and who to trust. How could a vision ever be given to someone to harbor if that person could not be trusted to carry it out. The message is simple: commitment precedes vision. 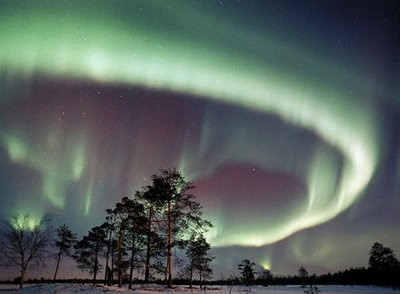 My Northern Lys (light), a lovely phenomena to watch (referring to the picture above). "The message is simple: commitment precedes vision." Hello Anna-Lys :) Wonderful to see you again! I used to live in Canada, Ont. and...WOW!!! Brilliantly said "Lovely phenomena", takes you breath away. Thank you for your kind word, I sincerely appreciate it. Your blogs are brilliant! Bravo!